About Us | American Refrigeration, Inc. 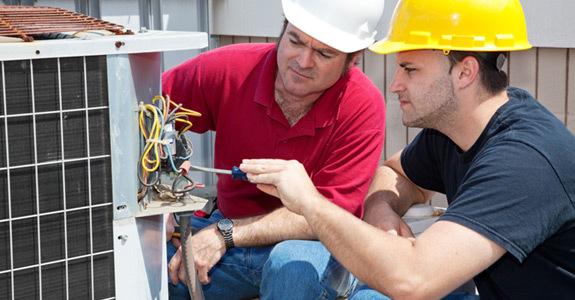 Whenever you need commercial heating, cooling or ventilation services, American Refrigeration Inc is the place to call for high quality commercial equipment repair in Eugene, OR. Our skilled team has been serving the Eugene and Portland areas since our founding in 1995, and we’re proud to be a dependable local business that our neighbors can count on for honest service, delivered promptly and with the assurance of high quality and competitive rates. American Refrigeration Inc specializes in commercial HVAC, heating and air conditioning repair in a variety of settings, including medical laboratories, winery chilling facilities and many more. No matter what of kind of repairs your system needs, we can provide the services you’re looking for. We’re pleased to offer emergency services 24/7, so you’ll never need to worry about experiencing the hassle and anxiety of going without heating, cooling or ventilation for extended periods of time. Any time you need help with commercial heating and cooling in Eugene, OR, be sure to call American Refrigeration Inc at 541-688-0939. We’re glad to help with all of your HVAC needs!